The Navarre region of northern Spain, covers the land at the foothills of the Pyrenees as they slope down to the Ebro River. Winegrowing here dates back to the Roman times and Navarre wines were very popular with pilgrims making their way to Santiago de Compostella. The climate here is continental with some Atlantic breezes leading to quite heavy winter rains. The region makes 95% red and rosé wines with the main grape varieties being Garnacha (Grenache), Tempranillo, Merlot and Cabernet Sauvignon. A small amount of white wine is made from Viura, Garnacha Blanca and Chardonnay. The French varietals were permitted to be used in the 1980s and have done much to make the wine appreciated for its upfront berry flavours, crisp acidity and soft, aromatic flavours. The region is experiencing a renaissance at the moment with some ambitious wines being made by young producers. The wines of Navarre are great food wines, pairing well with tapas and pintxos. 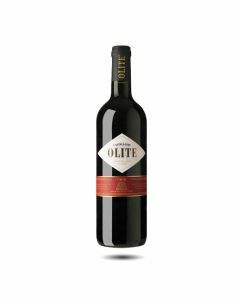 Produced from grapes grown in the hillsides of Navarre in the north of Spain, this light and fruity red wine is aromatic and easy drinking. For more than 20 years it has been a great favourite of our clientele. Perfect for every day drinking.